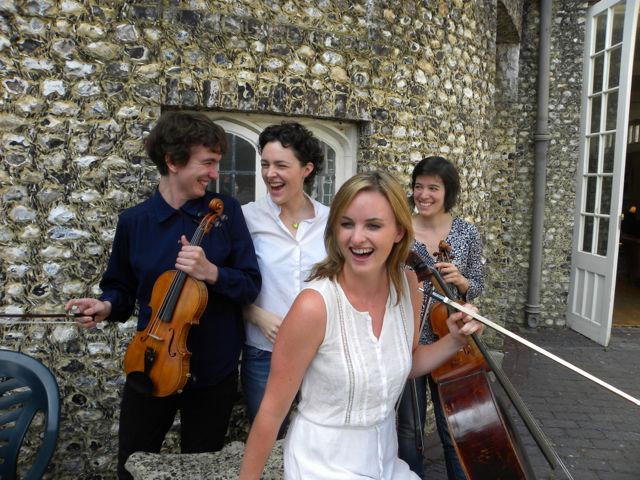 Our Music Summer school for string quartets and ensembles takes place at West Dean College each year. Since its first year in 1983, many quartets and ensembles – student, amateur and professional – have benefitted from the immersive and supportive learning experience offered on the summer school. Many have used the course as a final preparation for important international competitions and concert engagements. Generous bursaries offered by the College..
for quartets/ ensembles of music students or young professional players. A maximum of seven string quartets or ensembles are accepted to the course, each year. These are in addition to the performance opportunities offered to the summer school students during the week.